Join us! The Natural Resources Council of Maine invites you to celebrate 60 years protecting the nature of Maine! Through member support, NRCM is safeguarding Maine’s land, air, waters, and wildlife in 2019 and in 2079 and beyond, just as NRCM’s founders did in 1959. Celebrate with us at this multi-generational event. View 12 larger-than-life stunning sculptures and see Bernard Langlais’ workshop and homestead. Enjoy refreshments, kids activities, live music, and celebratory words by NRCM CEO Lisa Pohlmann. 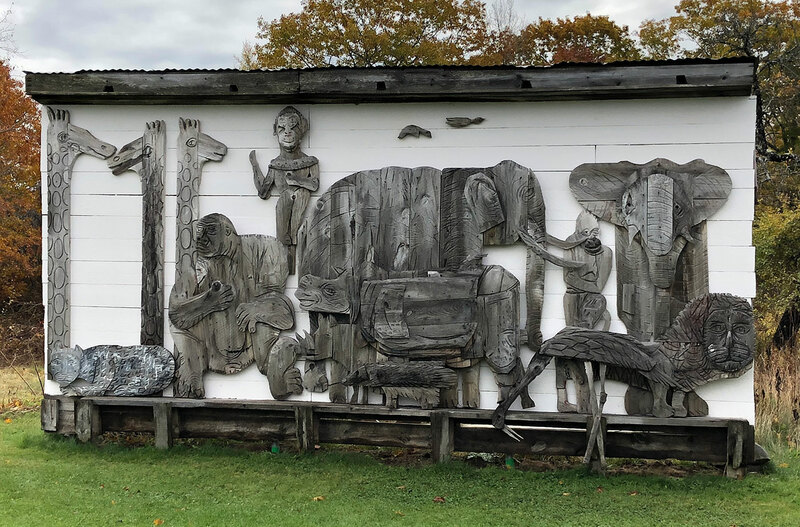 One of the many sculptures you can view at the Bernard Langlais Sculpture Preserve when you attend NRCM’s 60th anniversary event on Saturday, June 29.